Springwood Hall Kelso, spirals used to frame the stage with a three ball bouquet for the wedding cake. 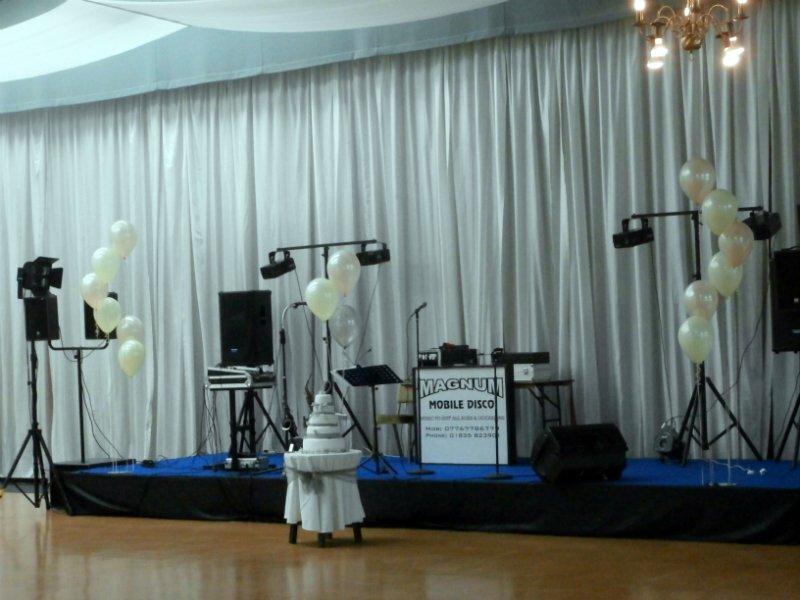 Where ever you are in the Scottish borders or North Northumberland decorate the stage for you event with our balloons. Whatever colour or theme you are incorporating into your event we can help you brighten your venue with our very best Qualatex balloons.